The Trans North Georgia Mountain Bike Adventure, TNGA for short, is a 350 mile mountain bike race through the Chattahoochee National forest of northern Georgia. 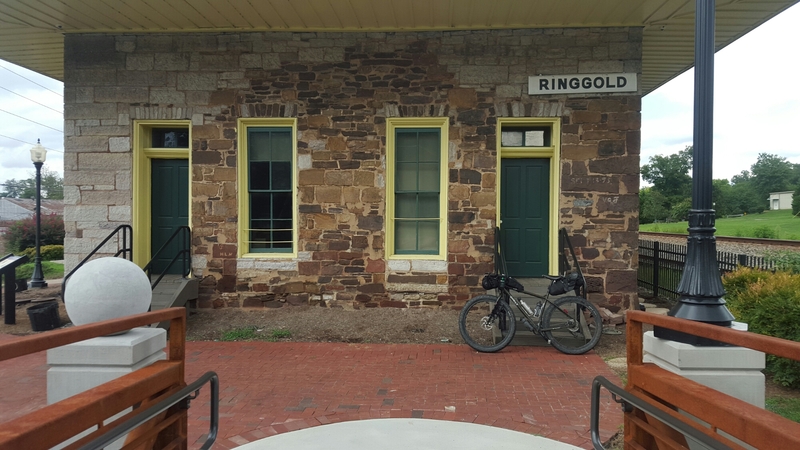 The majority of the route is unpaved following a mix of singletrack, gravel, dirt, and paved roads. It boasts an agonizing 56,000 feet of climbing. Two weeks ago, I decided on a whim to accept the challenge and find out what I’m made of. 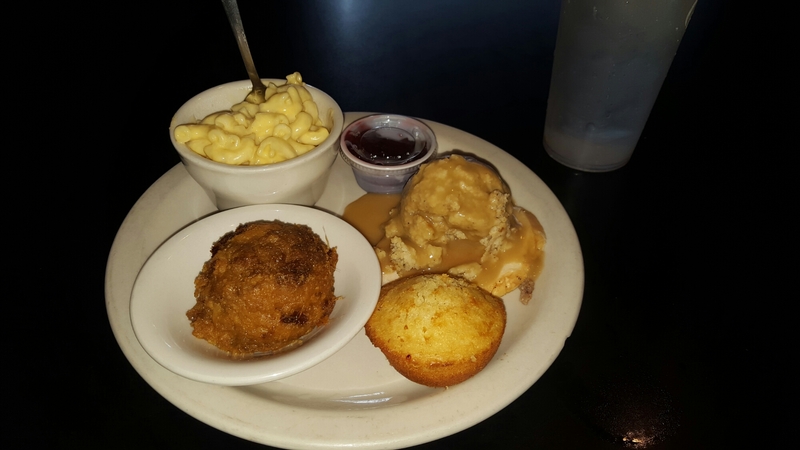 I’m currently sitting in a southern diner in Ringold, Tennessee with a belly full of a classic meal: turkey and stuffing with a side of Mac n’ cheese and sweet potato casserole. After fifteen hours on a bus followed by twelve miles of riding in the southern heat and humidity, the meal was intensely satisfying. Tonight, if I I’m not sidetracked by southern history, I’ll arrive at Mulberry Gap Mountain Bike Resort where I’ll be shuttled to a yurt near the start of the race. The bus from Pittsburgh, Pa to Chattanooga, TN was long and painful. I find it hard to sit still long enough to type a blog post let along fifteen hours on bus! Luckily, everything went smoothly this time. I am not very good at public transportion. On my way across the country to begin my Central America trip, I was left behind by a train in the middle-of-nowhere Montana. The first time I attempted a train, I arrived too late late to check my bike. I elected to reverse the route riding to Chicago then busing it home. Another time, I missed a train home from DC, but that, at least, was by choice. I was randomly invited on a road trip by a two German sisters whom I met in a hostel. I sent my bike home with my brother and jumped in the backseat of their rental car. 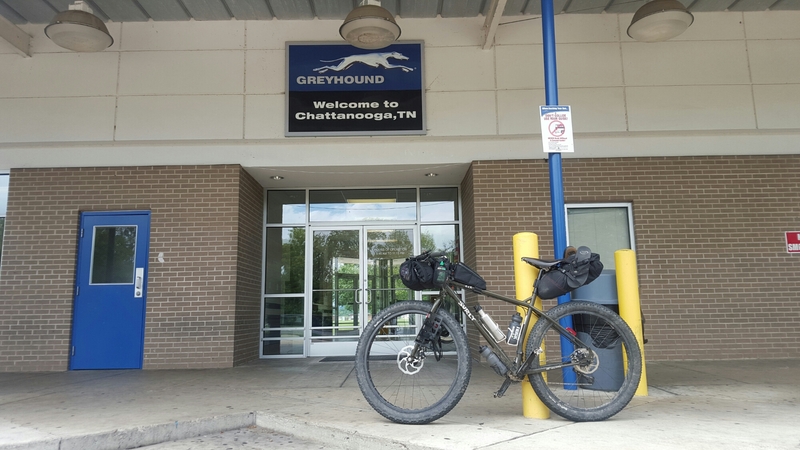 Having arrived on the correct bus at the correct time in Chattanooga, Tennessee, I drug my boxed bike into the building and assembled my bike. Needing to return to Pittsburgh from this station I asked permission to store the box. “No. But do me a favor. Tear the box apart and throw it in the dumpster.” Luckily, a bike store is close and they came to the rescue. River City Bicycles in Chattanooga will hook me up with a box on my way out of town. Ronald, the owner, also set me up with a bike computer to track my milage during the race and a peanut butter bar made by his wife who helps run the shop. Thanks guys! 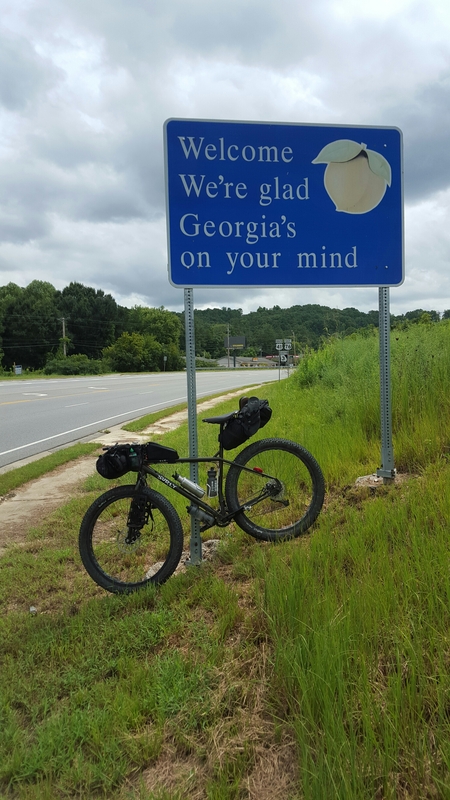 Well, it’s time for me to ride off into the hills of Georgia. Follow my race progress at Trackleaders. Wish me luck! Thanks for sharing. I can’t wait to follow this adventure. Be safe and Love you!